No one comments better than Dr. Albert Mohler on the Supreme Court’s decision on a critical religious liberty case. Let’s thankfully enjoy the win of the battle, but realize the war for religious freedom in America continues. Thank you, Dr. Mohler, for your insightful thoughts! 1,800 feet, a neck-stretching, mouth-dropping testimony to human power and pride. Alas, it was only a movie–“The Towering Inferno.” And as the title implies, this tower to man’s glory didn’t end well. Neither did the one in Genesis 11. One Language. The flood subsided. Noah, his wife, three sons and their wives were back on dry ground. For a century they multiplied (Genesis 10:1-32). And, since they all traced family trees back to Father and Mother Noah, ” . . . the whole earth had one language and the same words” (Genesis 11:1). One Place. “And as people migrated from the east, they found a plain in the land of Shinar (today’s Iraq) and settled there” (Genesis 11:2). Three times the LORD had commanded Noah and his offspring, “Be fruitful and multiply and fill the earth” (Genesis 8:17; 9:1,7). Settling was disobedience. A City and a Tower. They made bricks and mortar (Genesis 11:3) and said, “Come, let us build ourselves a city and a tower with its top in the heavens and let us make a name for ourselves, lest we be dispersed over the face of the whole earth” (Genesis 11:4). Human progress–migrants settle down to build a city with a skyscraper! Archaeologists say this tower may have been the original ziggurat–a false-god tower. 200 square foot base. Sloping walls and stairway rising 150 feet. A small room for the people’s god on top. ” . . . although they knew God, they did not honor him as God or give thanks to him, but they became futile in their thinking and their foolish hearts were darkened. Claiming to be wise, they became fools, and exchanged the glory of the immortal God for images . . . ” (Romans 1:21,22a). This is just what the Shinar Plain people did. In the movie, “The Towering Inferno”, San Francisco’s elite are invited to a gala grand opening on the Glass Tower’s top floor complete with dinner, dancing, orchestra, and self-congratulations all around. The city has made a name for itself. Nobody knows that faulty wiring will turn the tower into an inferno. The Building Inspector. “And the LORD came down to see the city and the tower . . . [and said], ‘Behold, they are one people, and they have all one language, and this is only the beginning of what they will do. And nothing that they propose to do will now be impossible for them. Come, let us go down and there confuse their language, so that they may not understand one another’s speech.’ So the LORD dispersed them from there over the face of all the earth, and they left off building the city” (Genesis 11:5-7). World peace has been the dream since the beginning. Here it seems possible. One people with one language in one place committed to one purpose. Yet, because the people have evil hearts, the world they build will be a world united for evil. Think Hitler. See piles of shoes once worn by now-gassed Jews and grotesque mass graves piled high with corpses. The Building Inspector “comes down.” Not to send another killer flood. Not to turn their project into the original Towering Inferno. (This is funny. Sure, the situation is serious for the future of humanity and the glory of God’s name. But this is funny.) He confuses their language! One guy’s talking to another and suddenly he’s speaking a language neither he nor his friend know. All over Shinar Plain it happens. Construction grinds to a halt–workers can’t communicate. The tower never reaches the clouds. The god can’t move in. The city is abandoned, half-built. The Dispersion. So the LORD dispersed them from there over the face of all the earth, and they left off building the city. Therefore its name was called Babel, because there the LORD confused the language of all the earth. And from there the LORD dispersed them over the face of all the earth (Genesis 11:8,9). Genesis is the book of origins. Here is the origin of humans united against the LORD and the origin of humanity’s humiliating defeat by the LORD. The Mercy of Disunity. Disunity among nations–despite all the blood shed–is God’s sovereign mercy. If world leaders could create a plan for peace, it would fail. Why? Because God will not allow evil-hearted humans to unite: our union would be a union of evil. The Hope of Unity. Our only hope for real peace lies with the woman’s offspring who the LORD said would bruise the Satan-serpent’s head (Genesis 3:15). The One the prophet Isaiah called “the Prince of Peace” (Isaiah 9:6). The One the prophet Jeremiah said would put God’s laws on our hearts (Jeremiah 31:33). The One the apostle Paul wrote died on the cross to create one new humanity and so make peace (Ephesians 2:15,16). The world is building selfie-towers. They won’t stand. But: “The name of the LORD is a strong tower; the righteous run into it and are safe” (Proverbs 18:10). Monday morning August 29, 2005 Hurricane Katrina hit southeast Louisiana. 1,833 people died. New Orleans bore the brunt of the storm. 80% of the city flooded as the levee system catastrophically failed. For weeks we saw devastating TV images of lingering flood waters. A storm like that today would likely bring climate-change prophets out of the woodwork warning Katrina’s flood was a sign of worse weather disasters to come. The Flood That Was a Sign. Wherever you stand on that issue, there once was a flood that signified a worse disaster to come. ” . . . the earth was corrupt in God’s sight, and the earth was filled with violence” (Genesis 6:11). God said, ” . . . I will bring a flood of waters upon the earth to destroy all flesh in which is the breath of life under heaven” (Genesis 6:17). So it was. ” . . . all the fountains of the great deep burst forth and the windows of the heavens were opened. And rain fell upon the earth forty days and forty nights” (Genesis 7:11,12). Critics claim it never happened. Skeptics doubt it could. Our distorted view of God is the culprit. Who thinks of God as a righteous judge who pours out his wrath on sin anymore? He’s our heavenly helper. Our divine butler beyond the blue horizon awaiting our call. But that’s not the God of the Bible, not the God of our Lord Jesus Christ. That God sent a flood so that “Everything on the dry land in whose nostrils was the breath of life died” Genesis 7:22). That flood was a sign of greater cataclysm to come . . The Sign That Was a Flood. Many centuries later the apostle Paul told persecuted churches in that “the Lord Jesus [will be] revealed from heaven with his mighty angels in flaming fire, inflicting vengeance on those who do not know God and on those who do not obey the gospel of our Lord Jesus” (2 Thessalonians 1:7,8). Later the apostle Peter wrote about those who scoff at such fanaticism: ” . . . scoffers will come in the last days with scoffing, following their own sinful desires. They will say, ‘Where is the promise of his coming?” For ever since the fathers fell asleep, all things are continuing as they were from the beginning of creation'” (2 Peter 3:3,4a). Why do they mock? Their sinful desires cause them to deliberately overlook the sign that was a flood. “For they deliberately overlook this fact, that the heavens existed long ago, and the earth was formed out of water and through water by the word of God, and that by means of these the world that then existed perished. But by the same word the heavens and earth that now exist are stored up for fire, being kept until the day of judgment and destruction of the ungodly . . . the day of the Lord will come like a thief, and then the heavens will pass away with a roar, and the heavenly bodies will be burned up and dissolved, and the earth and the works that are done on it will be exposed” (2 Peter 3:4b-7,10). The sign that the day of the Lord will come and the present heavens and earth will be burned up in judgment is Noah’s flood. The Way to Follow the Flood-Sign. “Since all these things are thus to be dissolved, what sort of people ought you to be in lives of holiness and godliness, waiting for and hastening the coming of the day of God, because of which the heavens will be set on fire and dissolved and the heavenly bodies will melt as they burn! But according to his promise we are waiting for new heavens and a new earth in which righteousness dwells” (1 Peter 3:11-13). “Lives of holiness and godliness” are birthed and sustained and completed by faith in the great mercy of the God and Father of our Lord Jesus Christ. So believers in Christ should be encouraged by the flood-sign and live in obedience to Jesus. Unbelievers in Christ should be warned by the flood-sign to pray for God’s mercy through Christ. The Fishy-Ness of the Flood-Sign. The problem is that it all sounds preposterous. An ancient flood God sent to kill every living thing (except righteous Noah and his family and the animals on the ark)! Jesus who lived here 2000 years ago coming again to judge unbelievers and burn up the earth and bring a new righteous creation into being! That ancient flood being a sign of the future fire! For believer and unbeliever it’s almost beyond belief. So was Katrina’s flood in New Orleans just days before it hit. 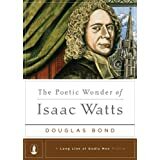 In an inspiring book, The Poetic Wonder of Isaac Watts, Douglas Bond introduces Watts to us. 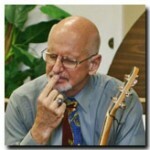 The book is part of the Long Line of Godly Men Profile series edited by Steve Lawson. Hardcover is available from Amazon for under $14, the Kindle version for less than $8. I mention that because I recommend the book to you, especially if you’re interested in how God used ordinary people in the past to influence his people for good even to the present. Why We Should Know Watts. Bond explains: “By his extraordinary literary skill, he made hymn-singing a devotional force in the Protestant church. Captured by a towering vision of God, this gifted composer revitalized congregational singing by restating rich theology in lyrics that matched the music weightiness of the biblical message . . . this pastor-hymnologist influenced the course of congregational worship that has lasted until this day.” Of course, “this day” worship music is more influenced by popular Christian artists than pastor-hymnologists whose souls are filled with the weightiness of the biblical message. The Man. Watts was born in a troubled England 340 years ago and died 266 years ago. Bond tells the story of his life, sprinkling his hymns throughout, so we don’t feel as if we’re reading an encyclopedia but a narrative of an ordinary man God used extraordinarily. We learn about Watts’ life and legacy, his role as an educator, lyric poet, hymn writer, poet theologian, children’s poet, psalm interpreter. We read about his sermon hymns and his impact on our time. But the strength of the book is the hymns themselves. A Few Favorites Among His Hymns. Whenever I came to one of Watts’ hymns, I found myself pausing to read it aloud, slowly and thoughtfully, and being moved to praise the God he was praising. Read these hymns that way and see if your soul beats with the glory of our God and Savior . . .
And enter while there’s room? Why not get to know him better through this book? If you do, I’m sure you’ll get to know his God better through his hymns! One minute he was enjoying morning coffee at Dunkin’ Donuts. The next he was slumped over the counter. “Call 911!” Medics arrived. “Give me that box!” one shouted. He opened it and slapped four Band-Aids on the unconscious man’s chest. Some conditions call for more than Band-Aids. When he finished his creation-work, “God saw everything that he had made, and behold, it was very good” (Genesis 1:31). Six or seven generations passed. Then this: “Now the earth was corrupt in God’s sight, and the earth was filled with violence” (Genesis 6:11). Such was the downward slide of humanity into violent depravity. How bad was it? So bad the Lord grievously decided to wipe it out. Like a house so termite-infested it has to be leveled. Or a field so chemically-polluted it has to be plowed under. Wickedness so great, the purposes of man’s heart so evil, only a worse-than-tsunami-like flood could wash away the corruption. and that every intention of the thoughts of his heart was only evil continually. Was it really that bad? Cain went on from murder to actually build a city (Genesis 4:17). One of his great-grandsons became a livestock tycoon. Another a talented musician. A third a creative metal-worker (Genesis 4:20-22). In business and the arts society was progressing. Let these entrepreneurs teach others! Business will boom! The arts will flourish! Violence will fade! Education! Opportunity! That’s what they need. In God’s eyes that would be slapping Band Aids on a heart attack victim. Build an ark, righteous Noah! “For in seven days I will send rain on the earth forty days and forty nights, and every living thing that I have made I will blot out from the face of the ground” (Genesis 7:4).
. . . Only Noah was left, and those who were with him in the ark (Genesis 7:11,12,23). Much later, because even hearts saved from the flood were corrupted (Genesis 8:21), the New Testament, too, issues judgment-warnings . . . But because of your hard and impenitent heart you are storing up wrath for yourself on the day of wrath when God’s righteous judgement will be revealed (Romans 2:5).
. . . if we go on sinning deliberately after receiving a knowledge of the truth, there no longer remains a sacrifice for sins, but a fearful expectation of judgment, and a fury of fire that will consume the adversaries (Hebrews 10:26).
. . . the heavens and earth that now exist are stored up for fire, being kept until the day of judgment and the destruction of the ungodly (2 Peter 3:7). thoughts of his heart was only evil continually” (Genesis 6:5)? Are we destined to be burned with fire as they were wiped out with a flood? God shows his love for us in what while we were still sinners, Christ died for us. And Jesus does one more thing . . .
“And I will give you new heart, and a new spirit I will put with you . . .
And . . . cause you to walk in my statutes ” (Ezekiel 36:26,27). Jesus doesn’t slap Band-Aids on our bad heart. He gives us a new one. The father waited until his 14-year-old daughter closed the door and took her shoes and backpack off. Then he slit her throat. Forty minutes later when his 12-year-old son came home, he repeated his gruesome deed. That morning, after his children had left for school, the father had stabbed his wife 59 times. She lay not far from the children in the entry way of their Detroit townhouse (from “USA Today”). The story shocks only for a moment. Killing is too common. How did we get here? By the grim spread of sin. That answer’s not politically correct. “Sin” implies a sovereign God who requires obedience and to whom we’re accountable. We prefer the Moralistic Therapeutic Deist God (Christian Smith’s term in Soul-Searching–The Religious and Spiritual Lives of American Teenagers). That God is always there to help us, but never legislates laws we break at our own peril. However, the God of the Bible isn’t the God of America’s teenagers, nor the God of most American adults either. Where did this all start? In Eden paradise. Adam and Eve listened to the Satan-serpent and disobeyed the one law the Creator laid down: “You shall not eat of the fruit of the tree that is in the midst of the garden” (Genesis 3:3). But they did. The result? The Creator decreed curses on the Satan-serpent, on the woman and on the man (Genesis 3:14-19). Then “the Lord God sent [the man] out from the garden of Eden” (Genesis 3:23). That’s where we live–outside Eden. And outside Eden, sin spreads. What happened outside Eden? Murder. Eve gave birth to two sons–Cain and Abel. Eventually each brought an offering to the Lord. “And the Lord had regard for Abel and his offering, but for Cain and his offering he had no regard, so Cain was very angry . . . And when they were in the field, Cain rose up against his brother Abel and killed him” (Genesis 4:4b,8). Adam and Eve’s sin had spread to their sons. Several generations later, a descendant of Cain–Lamech–said to his wives: “Adah and Zillah, hear my voice; you wives of Lamech, listen to what I say: I have killed a man for wounding me, a young man for striking me. If Cain’s revenge is sevenfold, then Lamech’s is seventy-sevenfold” (Genesis 4:23,24). For wounding him, Lamech killed a young man. He bragged he was a more infamous killer than Cain. Now here we are, centuries later, the voice of the blood of countless victims crying to God from the ground (Genesis 4:10). Outside Eden, sin still spreads. Our only hope for peace lies with the Creator against whom we’ve all sinned. In our walk through Genesis we’ve reached a dark valley. Humans are killing each other. And every act of violence–whatever its form– is sin against the Creator. His judgment must fall, but even here we catch glimpses of mercy. Mercy-Glimpse. “The Lord God said to the serpent, ‘I will put enmity between you and the woman, and between your offspring and her offspring; he shall bruise your head, and you shall bruise his heel'” (Genesis 3:15). One day, in a brutal battle, the son of the woman would crush the head of the Satan-serpent. Mercy-Glimpse. When the Lord didn’t accept Cain’s offering, Cain was very angry. “The Lord said to Cain, ‘Why are you angry . . . ? If you do well, you will be accepted. And if you do not do well, sin is crouching at the door. 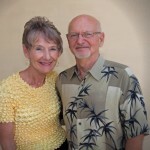 Its desire is for you, but you must rule over it'” (Genesis 4:6,7). The Creator gave Cain a second chance and warned him of the weightiness of his choice. Mercy-Glimpse. Cain chose wrongly. The Lord condemned Cain to the life of a fugitive (Genesis 4:12). “Cain said to the Lord, ‘My punishment is greater than I can bear . . . I shall be a fugitive and a wanderer on the earth, and whoever finds me will kill me’ ” (Genesis 4:13,14b). The Lord responded, “‘Not so! If anyone kills Cain, vengeance shall be taken on him sevenfold.’ And the Lord put a mark on Cain, lest any who found him should attack him” (Genesis 4:15). Cain would have to bear punishment for his sin, but mixed with mercy. Mercy-Invitation. Many centuries later, sin has grimly spread. Violence is so common the most monstrous only momentarily shocks us. No longer do we even think of it as sin against our Creator. Still his mercy invites . . .
and he relents from punishing” (Joel 2:13).